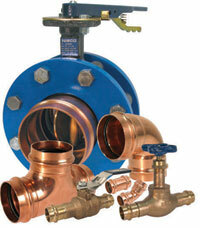 NCI Canada Inc. is a leading master distributor of high quality pipe, valves and fittings. Headquartered in Oakville, Ontario with additional warehouses in Edmonton, we serve Residential, Commercial, Industrial and Fire Protection markets. NCI offers an unparalleled range of products from leading manufacturers, an experienced team of PVF sales professionals and a continued commitment to superior customer service. We stock, distribute and service piping products by world class manufacturers. Keep informed about new products, price adjustments, events and industry news. We take pride in providing personal professional technical support to all our customers. Download Product Specifications, Technical Information and Business Forms. Contact us directly so we can better understand your product needs. 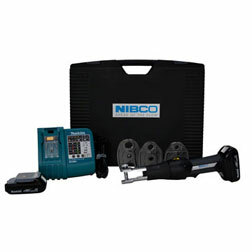 NIBCO has combined the proven performance of press technology and applied it to our most specified commercial valves perfecting the largest and most reliable press-to-connect valve offering in the industry. 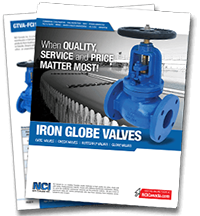 NCI Canada Inc. of Oakville, Ontario Canada is proud to announce the launch of its newest line of commercial iron body valves to the Canadian marketplace. Sign up for regular updates from NCI Canada Inc.